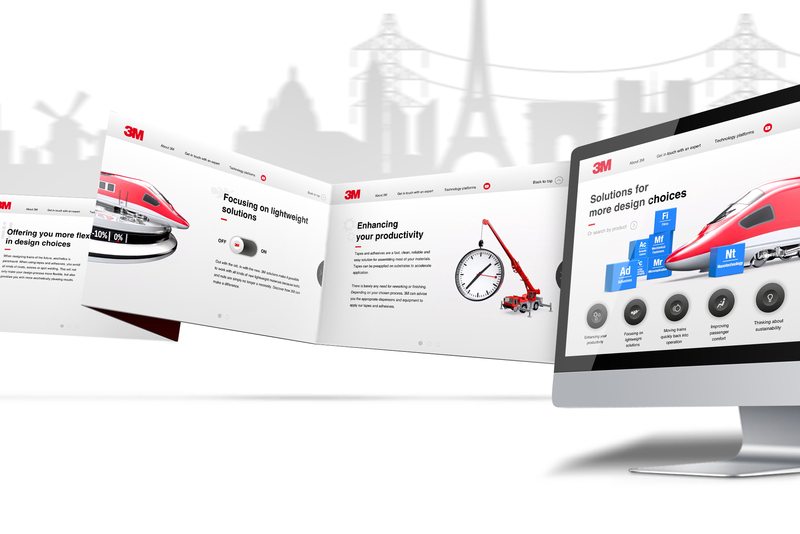 To get the full and undivided attention of our target audience we created a brand campaign site that no engineer on earth would be able to resist. 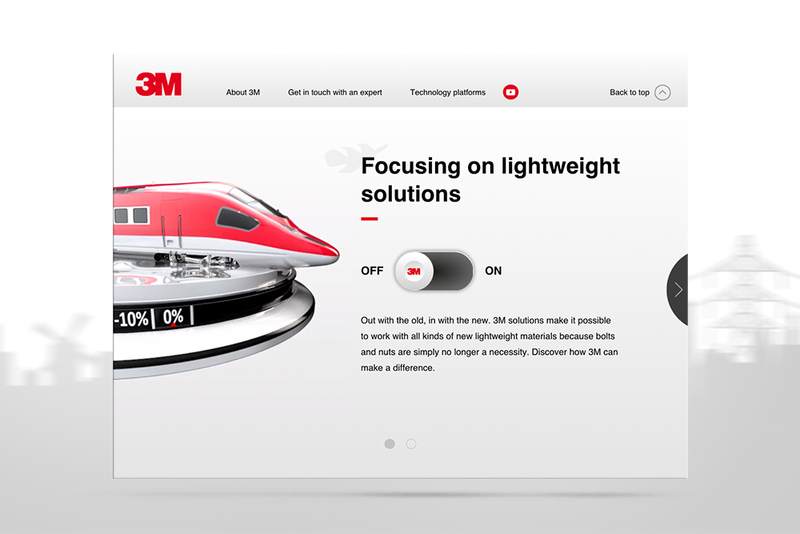 Because most engineers are intensly curious and passionate about how the world works we created a site that demonstrates new 3M technology in a clean, tech savvy environment. 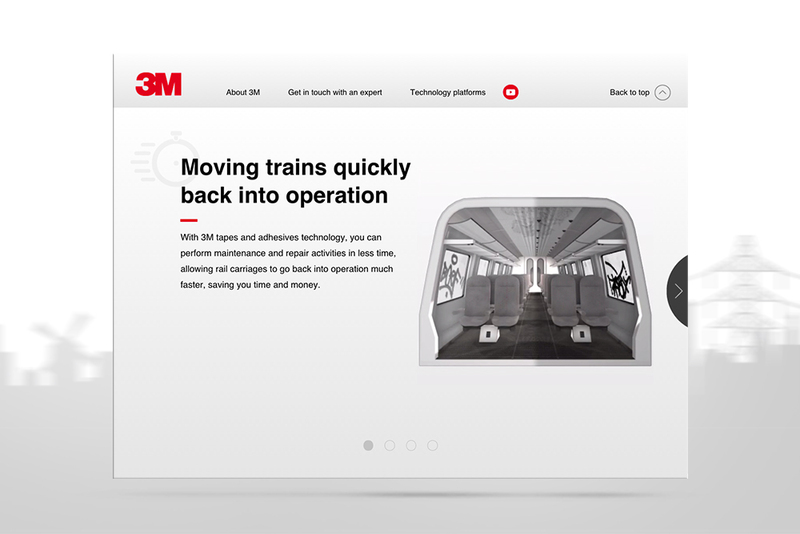 All engineers aboard! 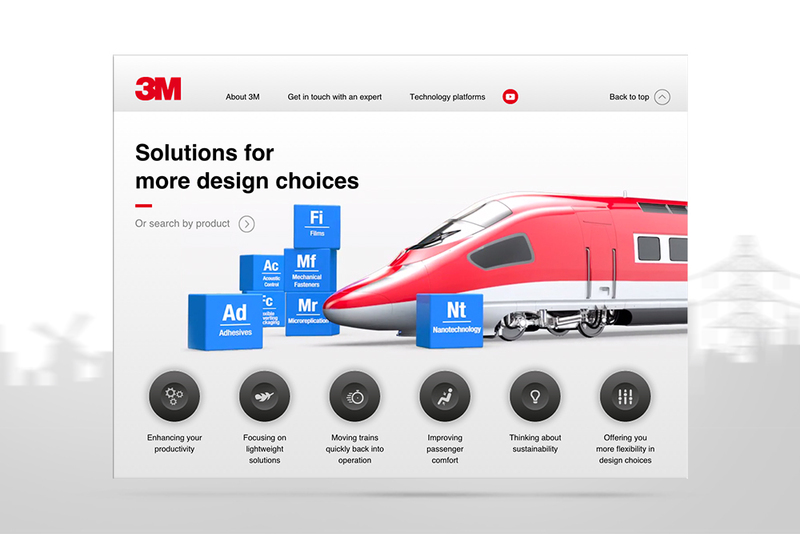 Jump on the train of 3M innovation. 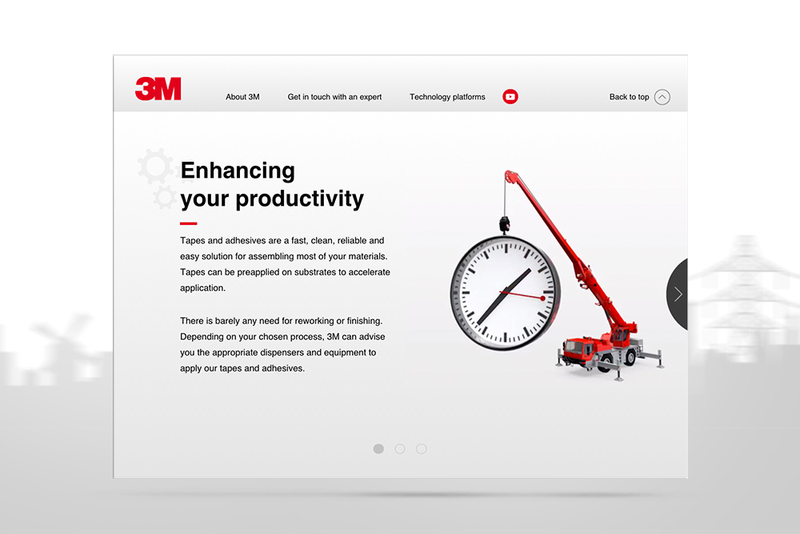 A powerful brand campaign site that not only shows but also demonstrates the latest innovations in industrial tapes and adhesives. 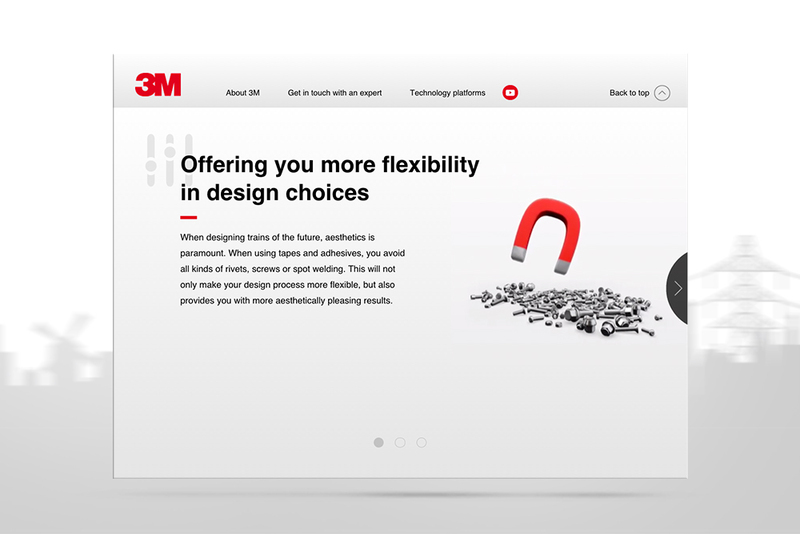 Made when I was employed at Poet Farmer.